Is it illegal to play online poker from within the United States? Another question I’ve been asked again and again. Back in 2006 when some online poker rooms pulled out of the US market due to the UIGEA, it was a hot topic. It then died down but came soaring back in 2011 when the DOJ shut down PokerStars, Full Tilt, and UB/Absolute. So… is it illegal to play online poker from the USA? No. No law has ever been made which states a citizen or visitor of the United States can be fined, jailed, or penalized for participating in online poker or any form of online gambling. No one has ever been arrested or convicted for making a deposit at any online poker room. The UIGEA and DOJ seizures were never aimed at poker players. Instead, these laws were setup making it illegal to process the funds. In other words, the laws were aimed at the banks, payment processors, and the poker sites themselves. Being a payment processor for online poker post 2006 was a risky, yet potentially richly prosperous, business. The UIGEA prohibited banks and other eWallets from processing transactions to and from online poker sites and other online gambling sites. Back in 2006 and before, the company Neteller got huge processing these payments. Neteller was essentially Paypal for online gambling. Players could easily and quickly move funds between their Neteller account and poker sites. In fact, if you’re outside of the US this is still a reality for you. Neteller (and other eWallets) decided to pull out from the US gambling market and stopped processing these payments. However, sites like PokerStars continued to serve US players so needed a way to continually process payments. While I do not support the UIGEA, and I can understand this need making poker sites desperate, it’s hard to approve of what sites like PokerStars and Full Tilt were doing to bypass this. They would setup fake eCommerce websites and other businesses, and fraudulently claim that is where the customer was making the transaction. In other words, an online poker room would setup a site like 1800elecwidgets.com and when you made a deposit on their poker room, it would show up as 1800elecwidgets.com on your credit card statement. This was a big no no and one of the main reasons why rooms were busted by the DOJ in 2011. In fact, this is still going on today. Although it’s not as common, you still may see some sites use this method as an easy way to continue to process payments. But who could really blame PokerStars and other rooms for doing this? They had to do something to keep serving US players and fight against the overreaching, unacceptable UIGEA. Three states currently have regulated online gambling; Nevada, New Jersey, and Delaware. From there, players can login and play on licensed and regulated online poker rooms and casinos. It’s much less likely for these rooms to close up shop and steal player funds, or for these sites to be seized by the DOJ. This makes it much less risky to play here. However, if you’re not in one of those three states, then playing online poker is risky. Just how risky? That’s hard to say. It depends on a lot of factors. When the DOJ shut down PokerStars, Full Tilt, and UB/Absolute, players from the US were allowed to cash out their bankrolls. The DOJ didn’t want to punish players, although one could argue they could have went about the whole thing better. Those who had funds on PokerStars could cash out almost immediately. I was one of those players. Less than one week after the seizure, I had the money in my bank account. No hassle. However, if you were someone who had money on Full Tilt or UB/Absolute, you weren’t as lucky. Due to bad practices with player funds and million dollar backlogs of deposits, the money simply wasn’t there to allow US players to cash out. These sites were dipping into player funds, which should have been segregated, and using them as operational funds. As long as the sites were active and the rake kept rolling in every day, they were able to stay afloat. However, once the DOJ came along, everything came crashing down, and the players had to pay. It took over 3 years for US citizens to receive their funds from Full Tilt. 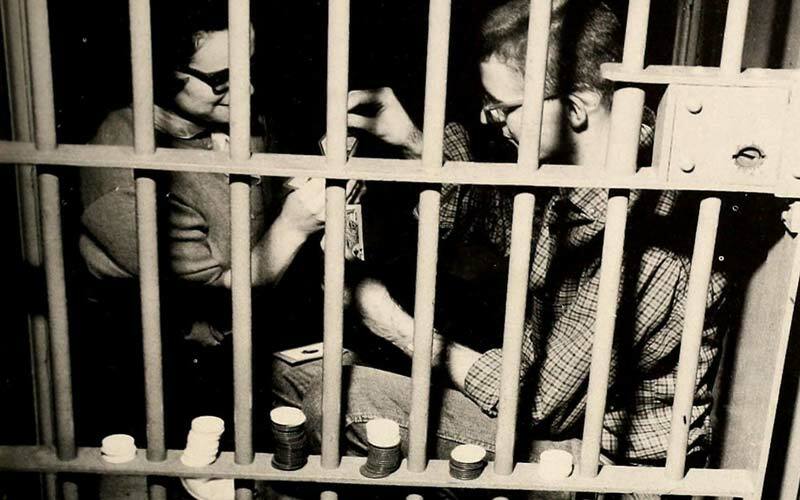 Many high stakes players had hundreds of thousands, and in some cases millions, locked up for this time. Many more lost access to sums large enough to cause major issues. Even worse, if you had money on UB or Absolute, as of August 2015, you still have not been paid. There is no indication to believe that Ultimate Bet or Absolute players ever will be paid. That one hurt a lot of people, and still does to this day. Similar to UB and Absolute, rooms like Lock Poker have closed down, without warning, stealing all player funds. And what is there for players to do? These companies are unregulated and operate outside of the United States. Often times there is nothing one can do except write it off and move on. Why Promote non-regulated Online Poker Rooms? If you look at our poker rankings, you will see unregulated rooms in the lists. Any room I promote here I have or still do play at myself. Although I’m not a professional player with a $100,000+ bankroll, I’m a recreational player who enjoys playing the game. And I know there are millions out there like me who want to sit down and play for a few hours at night to unwind, and win some cash. So while it’s not 100% risk free, I find it worth the risk and don’t want to completely abstain from online poker all together. I also do not hide the risk involved. I try to be as transparent as possible. What you want to do is avoid the Ultimate Bet like companies and stick towards the PokerStars like companies. Although it’s near impossible to know what these private, off shore companies are doing with player funds or how they’re processing payments, information leaks and people speak. When news like this comes out, we report and make adjustments in our rankings as necessary. I’m often asked if I myself would be comfortable having a large amount of money on a non-regulated poker room that accepts US players. And my honest answer is no. There is no way to quantify it as a percentage, but it is possible for any online poker site to disappear tomorrow or be seized by the DOJ. All was well in the world on April 14, 2011. 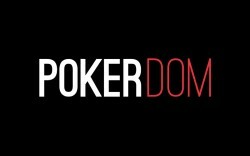 Then on April 15, 2011, the online poker world was torn apart from the domain seizures. My point being is no one expected the change on April 15, and there is no reason to think it can’t or won’t happen again. My advice is if you play online poker from the US, try to cash out as consistently as you can and don’t allow your bankroll to grow to an amount that would cause you incredible distress if it was gone. This may hinder your progress in moving up stakes, but the fact is, people had money stolen from them before, and it’s possible it may happen again. Bonus Ace will do all it can to ensure transparency is always present and we keep our brands in check. But if you play online poker from the US, there is some risk involved. You need to decide for yourself if it’s worth it. Note: I’m not a lawyer and this article is not meant to be taken as legal advice. This is my understanding of the laws as I’ve read them and through discussions with others in the industry, and should be treated as an opinion piece more than a factual documentation. This isn’t meant to be treated as a full summary of the UIGEA or events. If anything I said here is wrong or way off base, please contact me.